Want to experience Piedmont for yourself? I recommend these hotels! Our Piedmont photos page features this magnificent region of north western Italy. Scenically it is one of Italy’s most varied regions. The landscape changes from Alpine peaks in the north through to the rice paddies of the west. 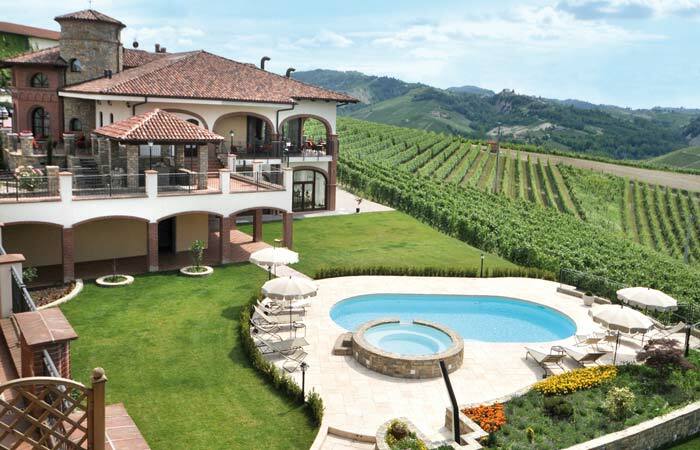 Similarly from north to south the landscape is equally impressive – from the Alps through to the vineyard covered rolling hills of the Langhe wine country south of Turin. The light, like that of Tuscany, has an ephemeral beauty that is extremely hard to capture. I believe that these photographs come very close to capturing that beauty. My thanks to Karl Baer, Alexander Strahilov and Nicholas Baumgartner for allowing me to use their photos. Photo taken from the wonderful Antico Podere Tota Virginia. If you are visiting Piedmont you should really try to get yourself a booking here. It is out of this world! Turin, looking out over Piazza Vittorio (featured in my walking tour of Turin) . 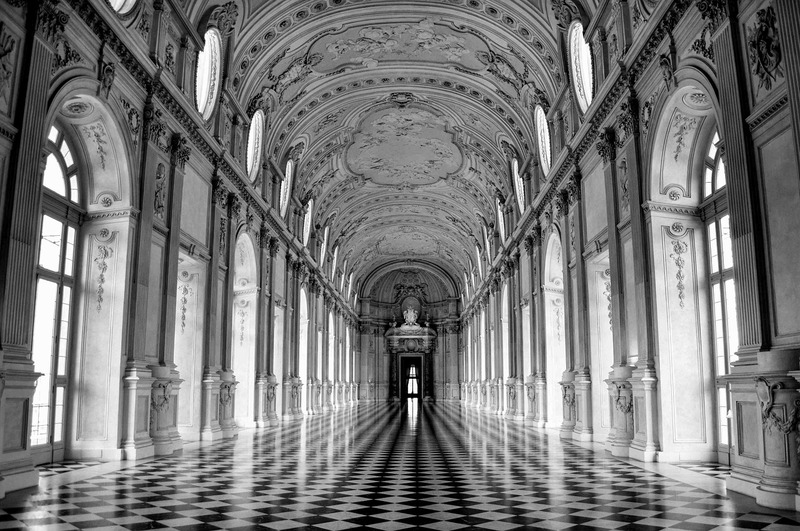 At the far end is Via Po which is one of Turin's most elegant avenues and lead up to magnificent Piazza Castello. 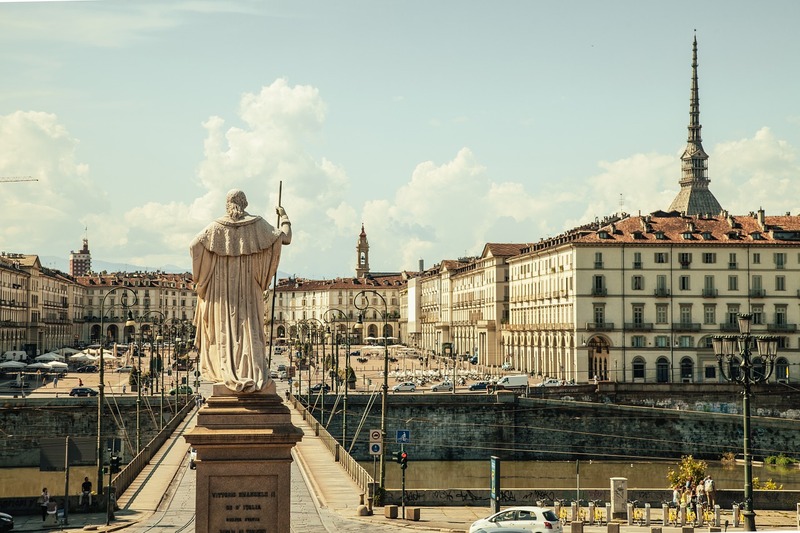 Wander down through the old neighbourhoods of Turin, through piazzas, and soon you'll find yourself on the banks of the River Po. 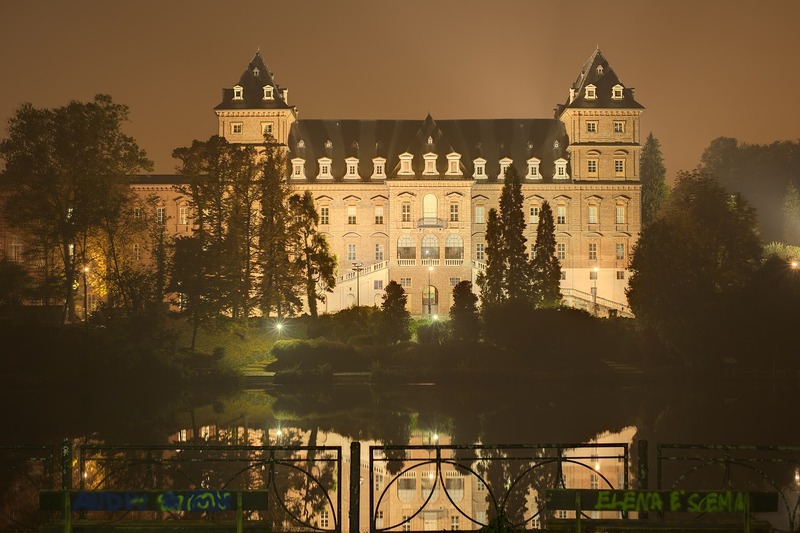 Here is one of Turin's loveliest park, it is the Parco Valentino - home to the Castle of Valentino - a 17th century castle picture above. A great idea is to take a boat trip from here along the river, the trip offers stunning views of the city. While in the park make sure you visit the "Medieval Village" which is actually an incredibly good replica of one that was built in the 19th century. Perhaps the most magnificent palace in all of Europe. Located outside Torino and once the home of the Savoy kings. View article here. 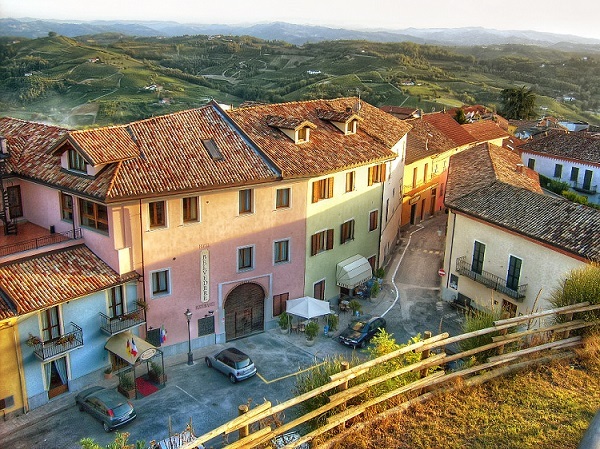 Foto of the little town of Barolo in the Langhe wine region of Piedmont. The lovely town of Belvedere. 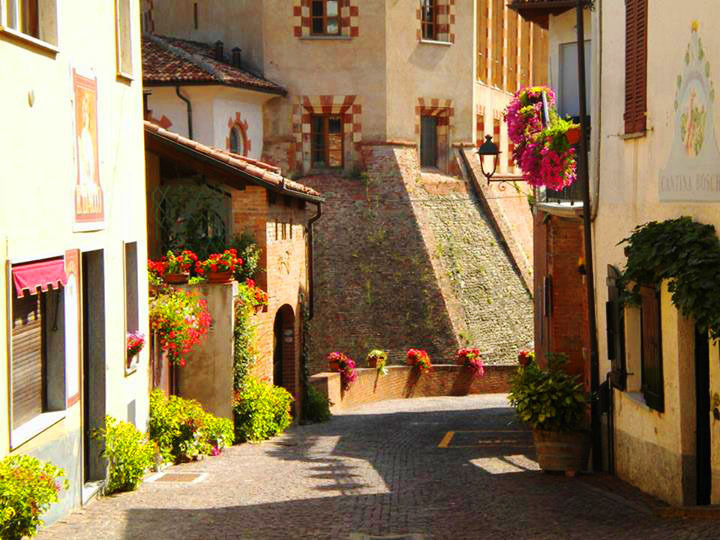 Near to here you'll find one of the loveliest of all the Langhe's towns...tiny little Neive (click for more info). 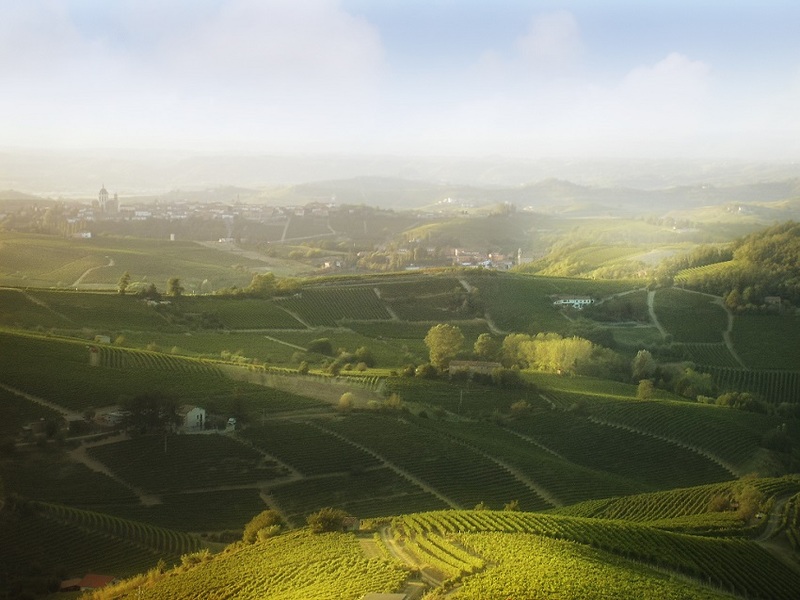 The Langhe is often known as the valley of a thousand hills. Seemingly endless and vineyard covered hills stretch away into the far distance... all the way to the Alps.